Drinking the fresh juice of a beet or two each day is a wonderful preventative health measure, and it may help reverse many problems. For taste, beet juice can be mixed with carrot juice or apple juice. If you`re into cleansing, you can also get the benefits of beet juice by adding a cup to a two quart cooled coffee enema. Coffee enemas are traditionally done to cleanse the liver, and by adding fresh beet juice, you`ll compound their effectiveness. The effects of doing coffee and beet juice enemas repeatedly are profound and for more for your buck, add in the juice of a couple of cloves of fresh garlic as well. Beets are so good for the body, Maybe I will start eating and yes adding some to my smoothies. place on high heat and bring to a boil, cook 30 minutes, or until tender. Drain and cool under cold water. peel and slice the beets. Combine vinegar sugar, and all the spices. Bring this to a boil, now add the beets, and bring back to a boil, simmer about 5 more minutes. 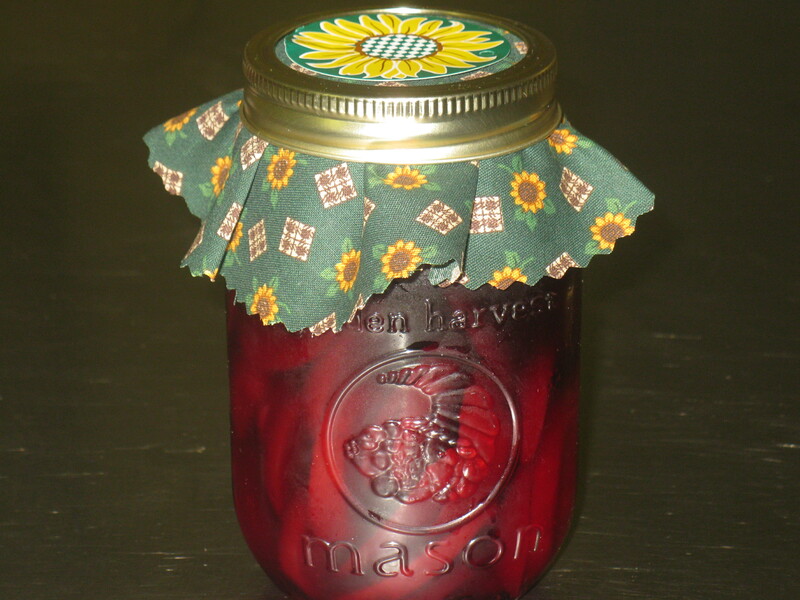 In 2 sterilized pint jars add the beets and liquid to 1/4 inch of top and place on the sterilized lids. And seal tightly.